The arrival of the modern fireplace running on bio-ethanol fuel and water vapor fireplace inserts has resulted in great enthusiasm and interest in the world of hearth manufacturers and distributors. While some viewed it as merely a new product that would enrich their collections and lead to new customers many others saw it as merely a bottom-of-the-range product, usually sold by discount traders on the web. AFIRE is a manufacturer of exclusive contemporary hearths for modern consumers that value quality, safety and personalised design. 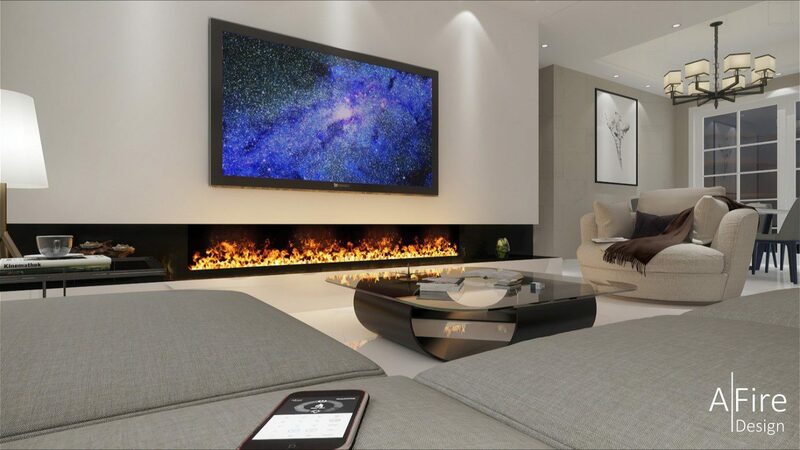 Modern-day smart fireplaces that are in compliance with the standards are a far cry from the dangerous messy containers filled with ethanol sold by discounters. AFIRE is a manufacturer for high-end customers, distributors and professionals wishing to install a range of high-tech ventless inserts and hearths. A new market was created with the arrival of vent free hearths. Users are mostly urban dwellers and their numbers are increasing given that we can install these contemporary fireplaces almost anywhere: flats, rooms where this is no possibility of installing a chimney, commercial premises, etc. For these new users, by reinventing urban spaces, fire assumes a role of user-friendliness and animated décor, providing a welcoming heat. Simpler and faster to install, AFIRE ethanol inserts and 3D electric fireplace inserts fit easily into numerous elements of decor: a niche in a wall, a shelf, stonework, a piece of furniture, etc. They can be embedded in the ground, can fit into an existing hearth or into numerous noble materials such as marble, stone, steel, etc. AFIRE has a wide line of inserts and remote-controlled “ready to install” electronic hearths. These products meet the CE (Europe), FCC (USA) and IC (Canada) safety standard requirements. The entire range has a remote-controlled automatic ignition (Smartphone, remote control, etc.) and on/off buttons. Furthermore, numerous safety sensors stop the flames in the event of abnormal functioning.